Maybe it is the elementary teacher in me dreaming of units filled with Eric Carle crafts, but I just love to decoupage and overlap with tissue paper. It is hard to mess up, fun to do with kids, and almost always turns out cool. 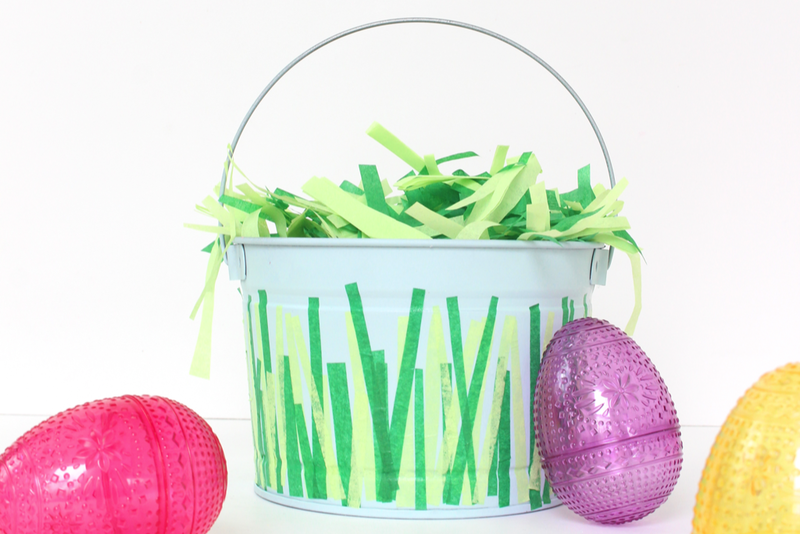 Here is how you can make your own Eric Carle-inspired Easter basket. Supplies: small galvanized bucket, spray paint, mod podge, scissors, tissue paper. Process: Spray paint the bucket. While it is drying, cut some strips of tissue paper in various heights and thicknesses. 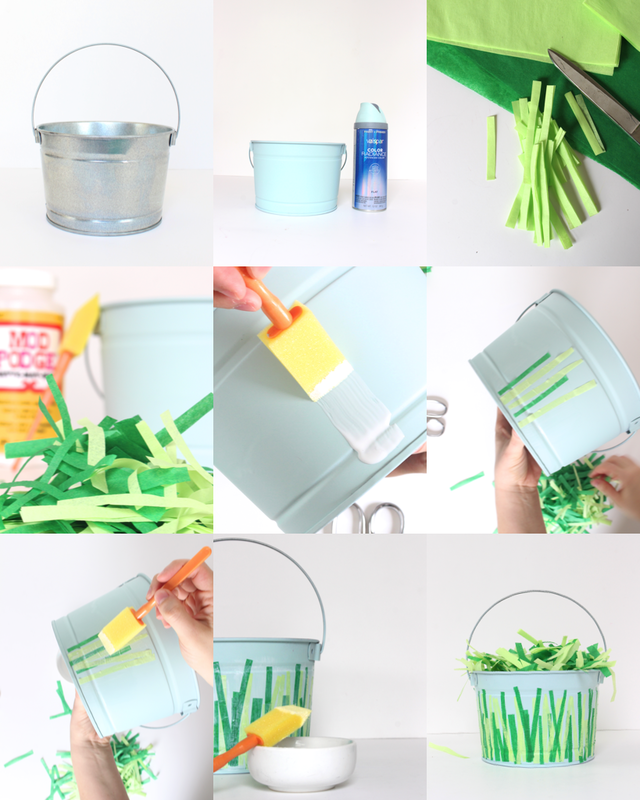 Put a layer of mod podge on the bucket, place some strips on top to create a grass effect, and finish with another layer of mod podge. Once it dries, your bucket is complete! Time: This project took about an hour (including drying time). 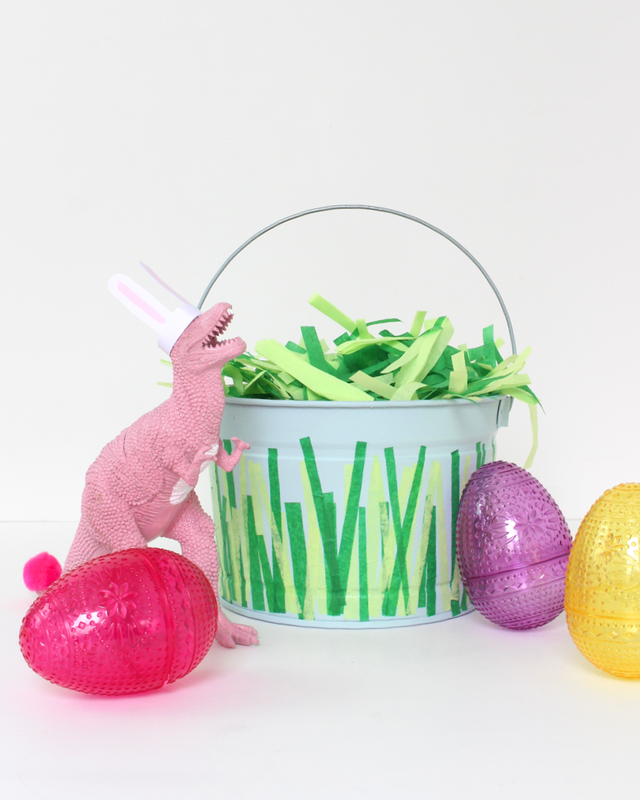 I love this bucket so much - it is simple, yet bright and fun.